Benutzen Sie Körbe für die Aufbewahrung Ihrer Dinge. 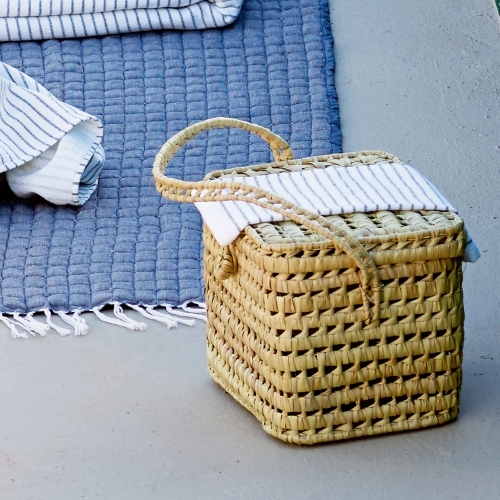 Dieses hübsche 3er Set eignet sich auch gut als Lunchbox oder Picknickkorb. 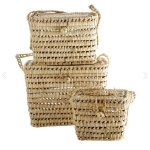 Set of three baskets with lid and handles. They are ideal for toys at children's room or storage in the entrance. 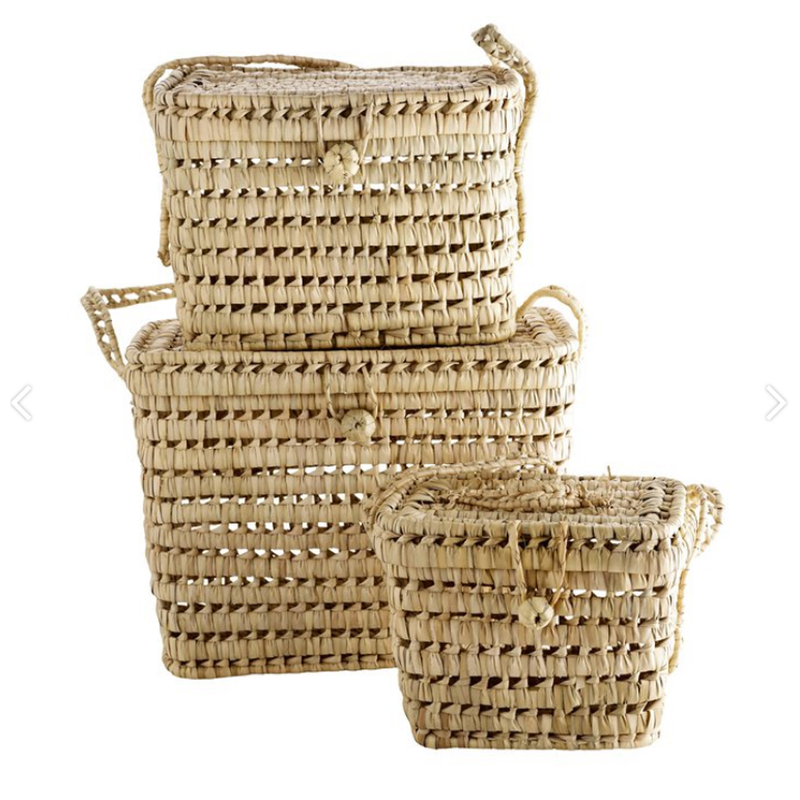 Many use the baskets for toys because they have handles, and therefore the toy easily can be carried out into the garden or into the living room when the family is assembled. 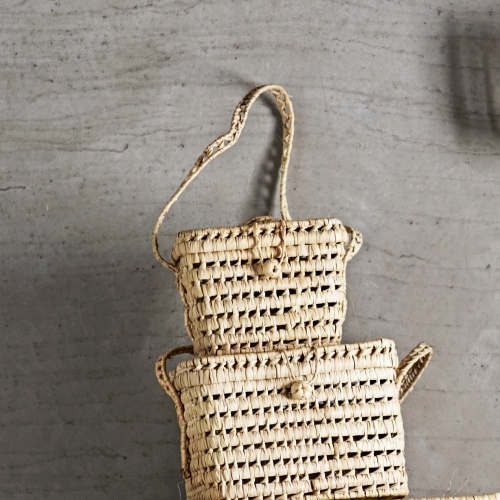 The baskets are woven from palm leaves, and are practical because the braided makes them keep their shape.